We have told you of many cool Christmas ornaments: Christmas balls, salt dough ornaments and many others. These ones are very simple, they are made of beads. The supplies are plastic beads, pegboards, iron, parchment paper and a string for hanging. 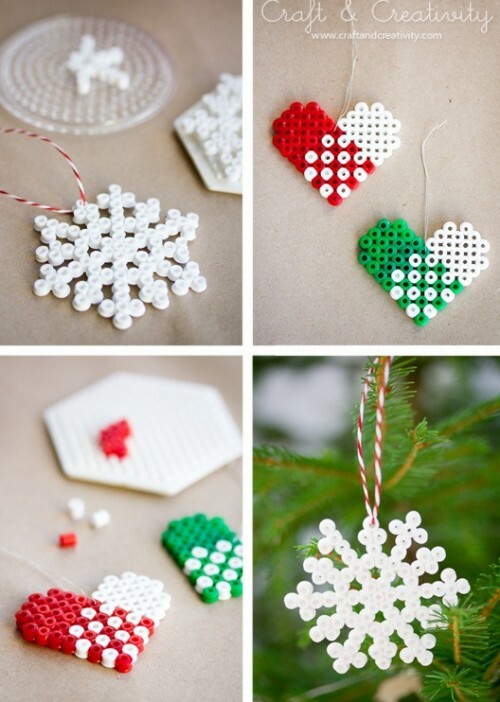 Create your pattern – a snowflake, a ball, a heart or whatever – and when you’re done, place the parchment paper on top of the beads on the pegboard. 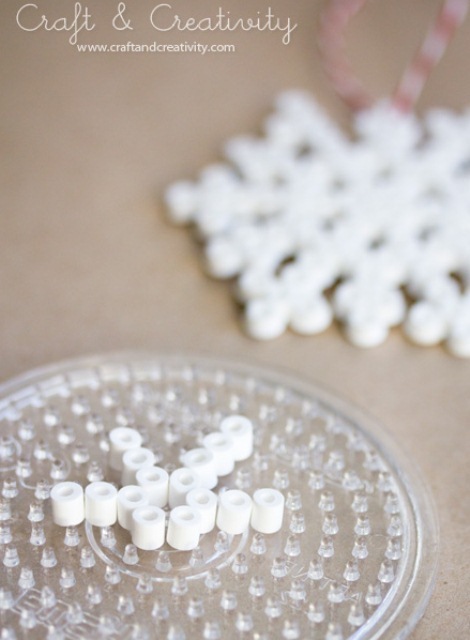 Use a preheated iron and run it in a circular motion until the beads have fused together. Iron both sides of the ornament if you want it to be more stable. Let it cool and attach a string or wire for hanging your pattern. Decorate your tree or mantel and admire your craft!